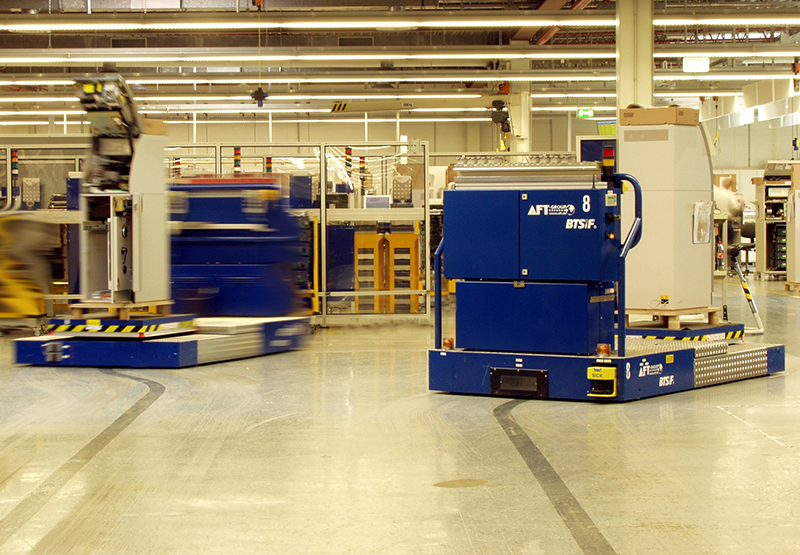 AGVs or automated guided vehicles, are commonly found in many industries. They follows markers or wires in the floor or uses vision, magnets or lasers for navigation. AGVs tow and store objects and move raw material and finished products. They also move humans on amusement park rides and people movers. They can also be found in warehouses, manufacturing facilities, hospitals, airports and entertainment venues. VAHLE offers dependable solutions for AGVs, either for direct powering or battery charging. These solutions include CPS, our contactless power system that provides seamless power transfer while keeping paths free of any obstructions. For opportunity charging along the AGV’s path, VAHLE’s BLS/BLK and SLS charging contacts can be adapted to any application.